On my 1/3 pound fresh ground sirloin burger, grilled and slightly pink on the inside, I enjoy a couple slices of pepper jack cheese, A-1 sauce on the heel, mayo on the crown, red onions, long slice dill pickles, fresh tomatoes, and a leaf of iceberg lettuce, along with a nice helping of some thick cut Russet potatoes deep fried to a crisp golden brown and lightly seasoned with some kosher salt. I am thankful for all those who emit tons of CO2 in delivering my fresh ingredients for my tasty meal. More CO2 means healthier grass stalks for which the range fed cows can consume, increasing the flavor and my dining pleasure. So to the opinion writer who is an easily offended snowflake liberal, bon appetit! Enjoy your measly, organic, bug infested carrot sticks and soy milk. This entry was posted in Food and tagged Delicious Cows, Food, Society by Sonoran Conservative. Bookmark the permalink. The production of my burger produced lots of plant food, which feeds the plants that produce my next burger. IT’S THE CIRCLE OF LIFE!!! 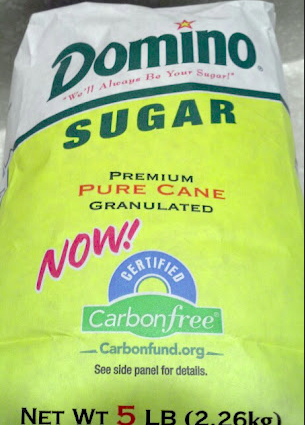 I hear you can get carbon free sugar just down the aisle! No carbon? It’s H22O11 — water. Wait until you tell them that we are a carbon based life-form. No, tell them you _identify as_ a carbon based life-form. There are some people I am eagerly awaiting their becoming carbon neutral.